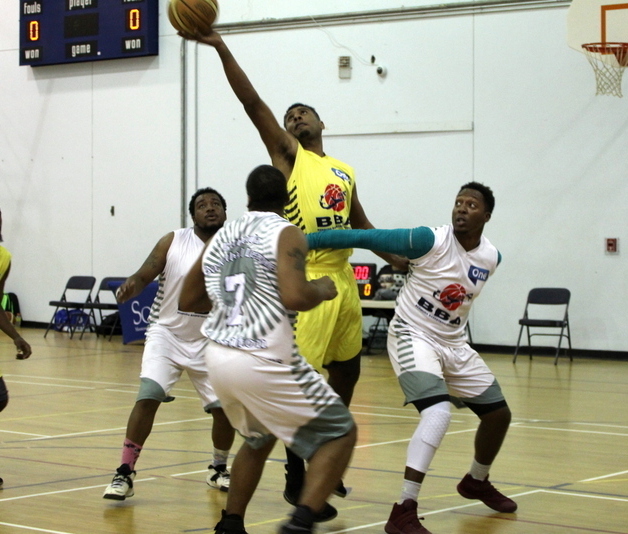 The Bermuda Basketball Winter League sponsored by ONE continued. Game 1 saw the Hamilton City Twisters defeat the Southampton Thundercats 76 – 58. The Hamilton City Twisters were led by Sabur Bey who scored 19 points, he had 7 rebounds and 3 assists, while the Southampton Thundercats got a game high 23 points from Chris Crumpler, he also had 8 rebounds, 2 assists and 3 steals. Game 2 saw the Somerset Tsunamis edge the Warwick Rimrockers 59 – 57. The Somerset Tsunamis got 16 points from Jason Simons, to go along with 4 rebounds, 2 assists and 2 steals, while Ronnie Bushner scored a game high 20 points for the Warwick Rimrockers, with 3 rebounds, 3 assist and 1 steal.